Inspired by a pre-apocalypse civilization with severe environmental pollution the katherina sweater has a large masked collar design. 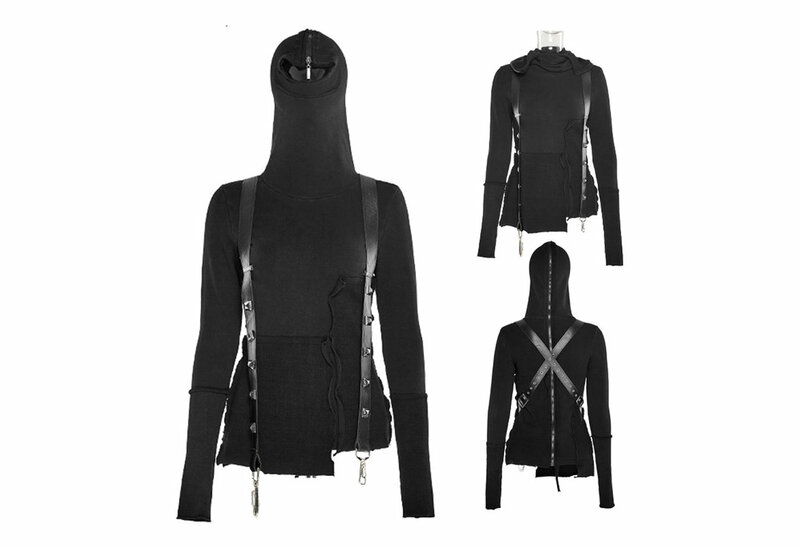 This sweater was designed to be worn front to front or front to back (like a straight jacket). 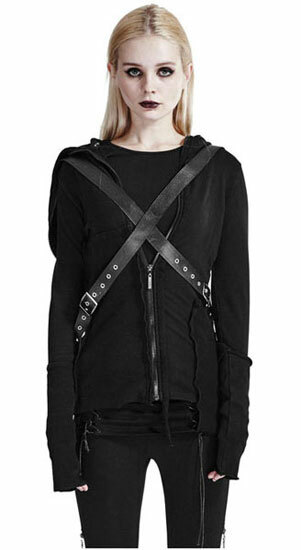 The PU riveted belt gives the garment a warrior tone.